Populations of fish critical to human food security are in serious decline worldwide with some at risk of collapse according to the Living Blue Planet Report. 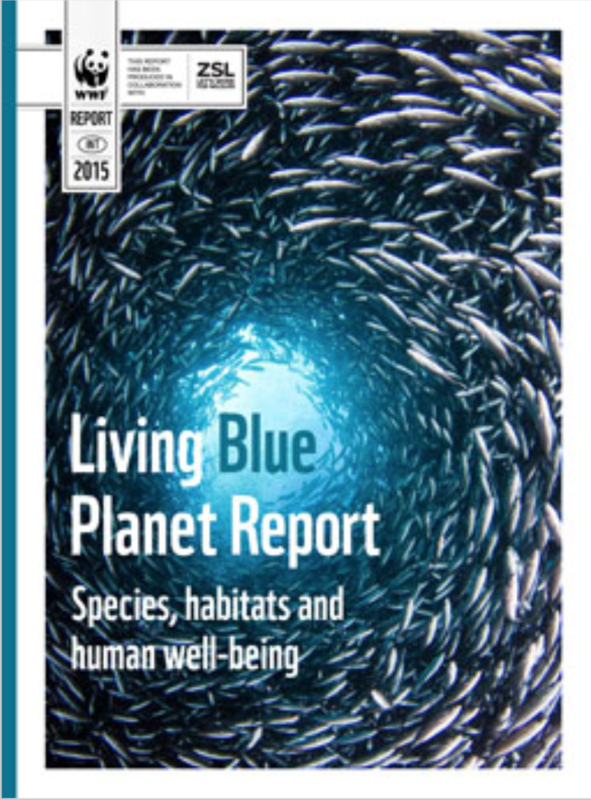 Populations of fish critical to human food security are in serious decline worldwide with some at risk of collapse according to the Living Blue Planet Report. The report finds that much of the activity threatening the ocean is avoidable and solutions do exist to turn the tide. The updated study of marine mammals, birds, reptiles and fish shows that populations have been reduced on average by half globally in the last four decades, with some fish declining by close to 75 percent. The latest findings spell trouble for all nations, especially people in the developing world. To reverse the downward trend, global leaders must ensure that ocean recovery and coastal habitat health feature strongly in the implementation of the UN’s sustainable development goals that will be formally approved later this month. Negotiations on a new global climate deal are also an important opportunity to forge agreement in support of ocean health. Informe "Planeta Vivo, Océanos (Living Blue Planet)"